More mini session goodness! Today I get to share the Elam/LaVoise families. You probably recognize them as I’ve had many a photo session with them! I just love this time of year with the beautiful colors, falling leaves and crisp cool air. Especially the crisp cool air seems how it’s usually hot in Southern California. I’ll take all the cooler weather I can get! This session out at Placerita Canyon Natural Area was so so pretty! The people were pretty good looking too I guess. lol I kid, I kid. 🙂 Yes, I know you are probably still rolling on the floor laughing at that one right? Ok, I’ll wait a minute for you to regain consciousness. Adding kids into the mix of photos always makes for an interesting time. You just never know if you are going to have a wild child, shy child or perfectly behaved little angel. lol Such is life. Kids keep me on my toes at photo shoots and I am 100% ok with that. Reese is the little girl in this family and she is adorable! You need to see her hugging momma’s belly for their maternity session. Cutest ever! Like seriously! She is such a ham, and this session was no different. She loves to make faces and dance around. So cute! In those quick still moments in-between all the dancing and face making I always get the sweetest serious look from her. She needs to be in a magazine ad for children’s clothing or something. This time of year with all the mini photo sessions is always so much fun because I get to see so many people in just a few short weeks. 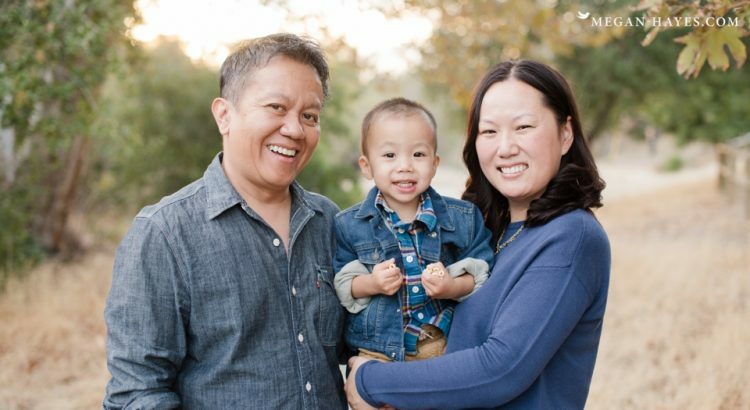 Tonight I am sharing the Jeong Family’s session out at Placerita Canyon Natural Area. I love that area and so do a lot of other photographers. Every time I went out there for a session on the weekend this month there were at least two other photographers there. There is plenty of space for everyone though! Little Noah was ready to explore as soon as we got started with the session. Though he usually wanted to go the opposite direction that we wanted to go. lol That’s how it goes with littles though! There was a lot of bribing going on. Mom brought Cheerios and bubbles as leverage. We walked around a little bit and made stops along the way when we found a place we liked and thought we could distract Noah long enough to get a few photos before retiring to the Cheerios and bubbles. I think all kids go through phases of wanting one parent over the other and this week Noah happened to want Mom all the time but he did let Dad hold him a few times for a brief few seconds. Just as we were wrapping up their session Noah broke out the cutest smiles. He was holding fists full of Cheerios too so it was even more cute! Such a cheese ball! I had such a great time photographing this beautiful family! Look at them! I met Stephenie back in July at her sister-in-law, Lindsey’s engagement party. Stephenie helped pull off a huge surprise for Lindsey and did amazing with everything. She mentioned to me at the party that she wanted to get some family photos done this year and we later got their session on the calendar. For my longer family sessions I like to break everyone up and get individual shots of everyone and several different arrangements with the kids and parents. It gives some variety and there’s always different uses where different photos are needed. The boys were goof balls. Of course, what boys aren’t? I love that boys are the silly ones though, gives some comedic relive and they always make for a fun shoot. The boys are always the ones with a smart remark up their sleeve that slips out at just the right time to make Mom laugh when she’s in the spotlight with Dad getting her picture taken. These boys are also such handsome young men! Watch out boys, the girls are going to be chasing you around soon if they aren’t already! 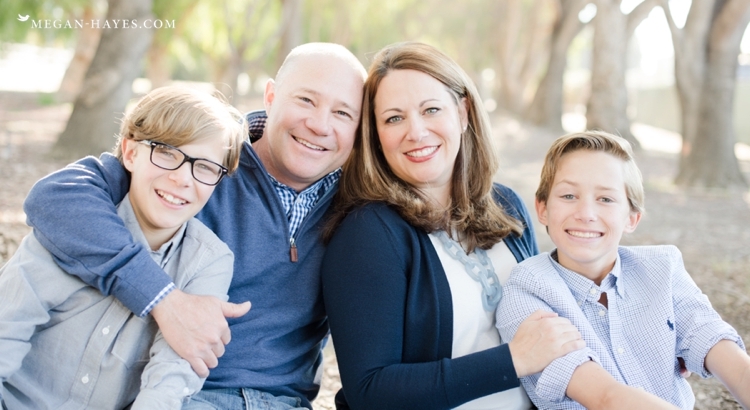 A mini session with the Odom Family in Santa Clarita! Photographing Rob & Sara all started with their engagement session back in 2013, then their amazing destination wedding in Punta Cana, DR, their maternity session, Parker’s newborn session and now their little family of 3! My favorite part of being a photographer is seeing the same people year after year and watching beautiful families grow. This is what makes me LOVE what I do. I get to document love. The love of a husband for his wife, a mom for her baby, a child’s love for mommy and daddy…. that is SO COOL! I am so blessed and love my clients! Parker is now 1 year old! She is also teething so getting a quick shot before she got that hand back in her mouth was fun. She is such a cutie and walking all over the place like a pro already. We started their session with Parker and her balloons. She even had a cute #1 balloon. The wind made it hard to get a shot with the #1 balloon upright but we managed to get a few. We moved from one distraction to the next pretty quick so we could keep Parker’s attention and get some good smiles. It’s always a workout doing sessions with little ones. They are all over the place and quick to move on to the next thing. During their session Daddy threw her up in the air and she had a smile from ear to ear for that! She was pretty happy any time she was moving fast whether that be flying through the air or running as Mommy chased her. So cute! I can’t believe it’s been a year since I photographed Parker as a newborn! Happy Birthday Parker! You are one cute little girl and I can’t wait to watch you grow!